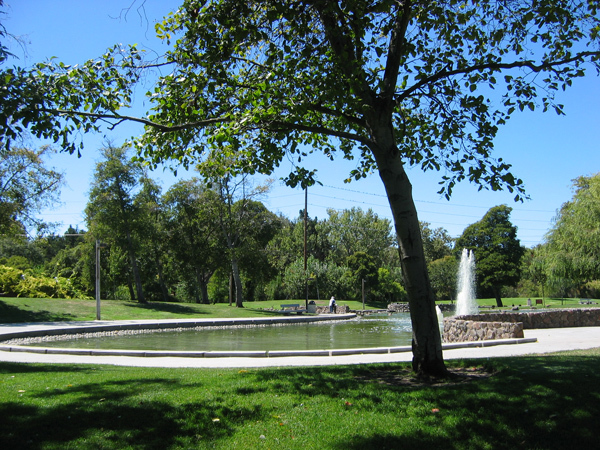 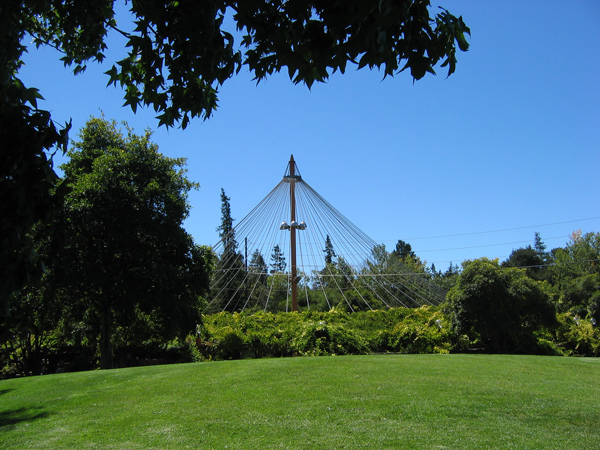 Commissioned in 1960 by the City of Santa Clara to meet the recreational needs of its growing population, the 52-acre Central Park was designed by Robert Royston. 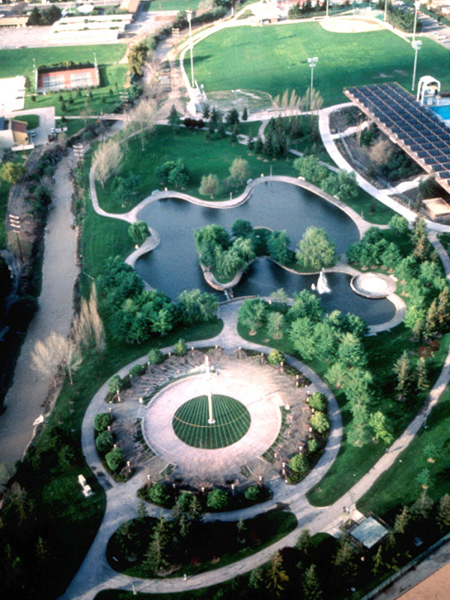 It exhibits characteristics consistent with many of Royston’s early projects: well-defined communal and private spaces, careful attention to the shifting views from pathways, a diverse plant palette of trees, shrubs, and ground cover, and gentle topographic shifts across constructed berms. 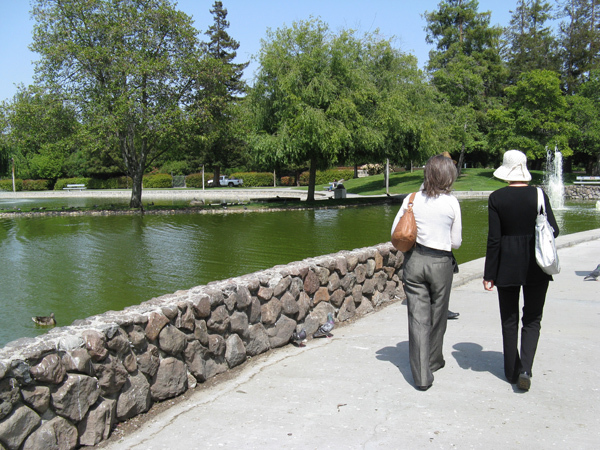 Working closely with Parks and Recreation Director Earl Carmichael and his partners Asa Hanamoto, Louis Alley, and Kaz Abey, Royston created a master plan that was constructed in 17 phases and completed in 1974. 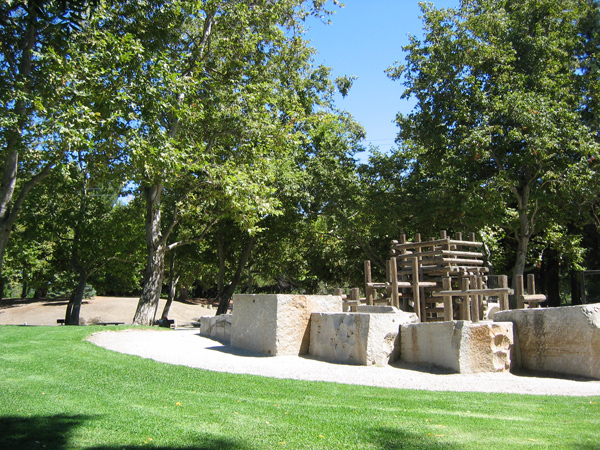 The site is divided into two sections by Saratoga Creek. 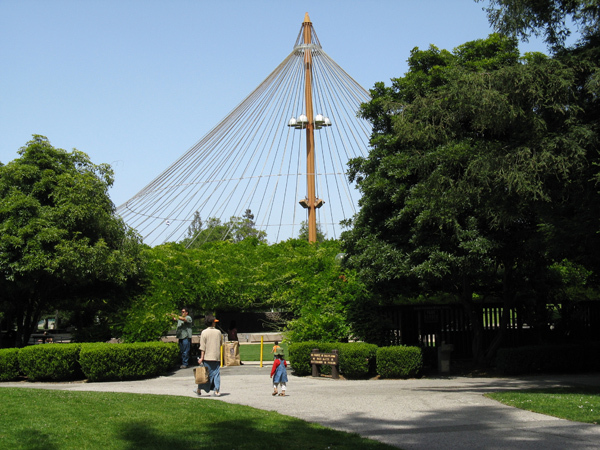 Its extensive features - a community center, tennis courts, library, swim center, baseball fields, picnic areas, playground, and lawn bowling course - are connected by a broad, meandering path. 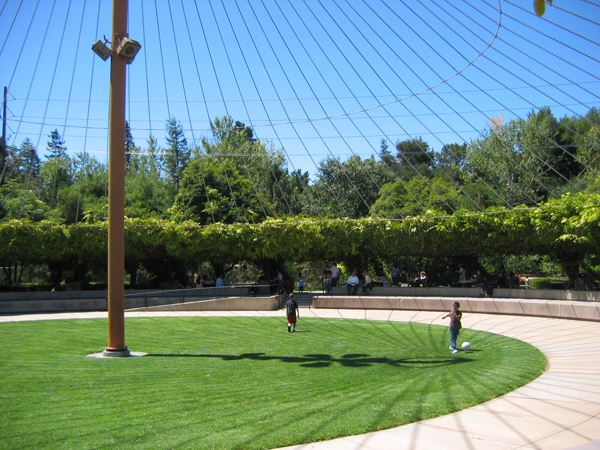 The park's center consists of an amoebic two-acre lake, redwood groves, two meadows, and a 75-foot-tall, wisteria-lined, open-air pavilion. 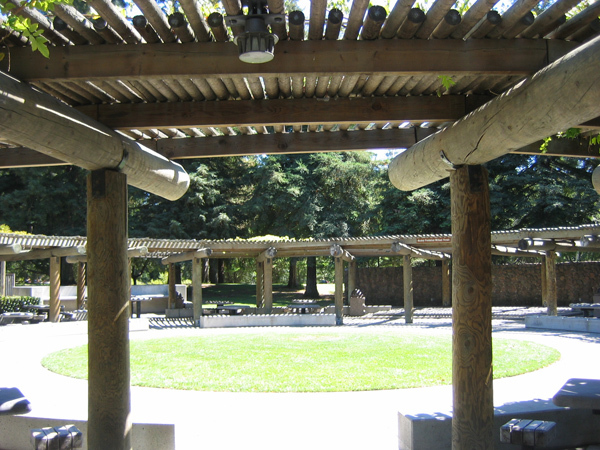 A picnic area, covered by a wooden pergola, suggests the character of a residential garden. 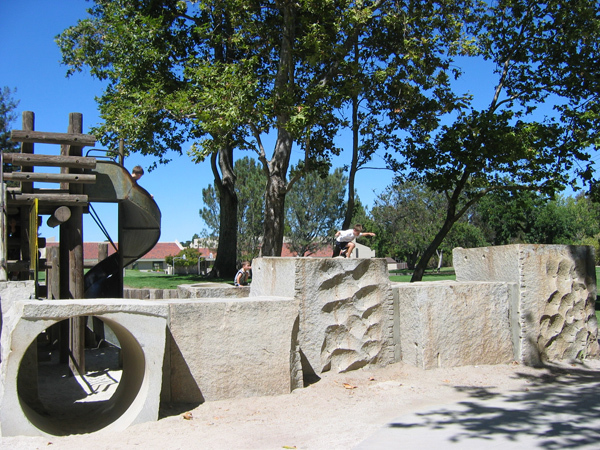 In keeping with his creative, child-centered playgrounds, Royston designed a playground that incorporates a three-dimensional maze of hollowed granite cubes, the discarded material from San Francisco City Hall’s columns.